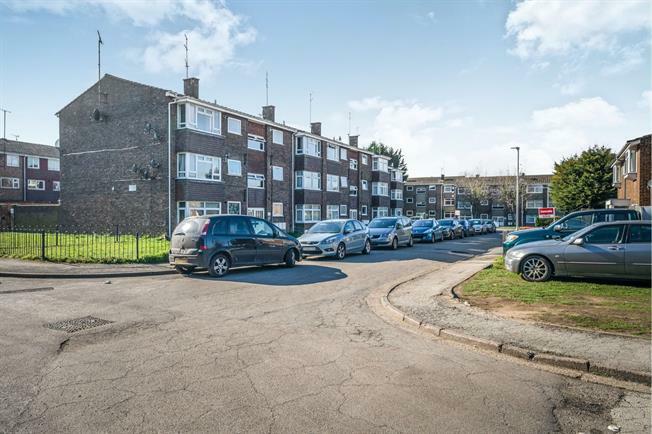 2 Bedroom Flat For Sale in Leighton Buzzard for Offers in excess of £150,000. Deceptively spacious and well presented Top floor apartment within walking distance of the town centre and main line station. In brief the property comprises of: Entrance hall, kitchen, large lounge/diner, two double bedrooms and family bathroom. Other benefits include communal gardens and a secure brick built shed. Please call Taylors estate agents to book your viewing now on 01525 372 444. Fitted to comprise of wall and base units with roll top work surfaces over, sink and drainer, space for oven and double glazed window to front aspect. Feature fireplace and double glazed window to front aspect. Double bedroom with double glazed window. Three piece suite with panelled bath, pedestal sink and low level WC.